The Covert College Bubble, Why the Burst Will be "Invisible"
Have you ever wondered about when you should take cover before the bursting of a bubble? Well impending doom is sly peeking over the horizon when debt for a specific industry (especially a new industry or an old industry being used under a new context) is normalized. You should especially prepare for rainy destruction when this debt is declared a guaranteed investment and when people cease solemnly perceiving this debt as a risk. Before the Great Depression, burying oneself in debt to acquire stocks was the obvious choice since the economy was obviously expanding. Before the Great Recession, mortgage culture caused so many individuals to grow comfortable with loans that many causally promenaded into fraud's clenches while predators savagely feasted on the credit frenzy. It is when individuals blindly walk into debt that can't be discharged at bankruptcy and then are mired in confusion when life happens and now their interest rate payments are "unexpectedly" higher than the principle. It is when people can peddle grand claims about debt being the obvious choice that is guaranteed to eventually work out over a lifetime, then present outdated information to support their grand claims and they don't raise eyebrows. It is when 70 percent of college students are burdening their nascent adult lives with overpowering debt and number 1 trillion is not raising comparable panic. Then one can safely surmise that an industry is probably a bubble. But wait... there's a twist. There is a new type of bubble. It doesn't float and bounce around ominously as the public helplessly watches in anticipation. It's the covert bubble popping inconspicuously and spreading its wet disaster while victims and bystanders remain unaware. The college bubble offers the illusion of social solidarity. Students cheer at the same games, they share the same venomous and irrational rivalries, they share the experiences of oscillating between passion and sleepiness in classes, and they collectively cringe at memories of pulling the infamous all-nighter; but with the exception of the broke college student meme, financial solidarity is quite shallow. College costs appear to be rising for all students and families, but it will be hard to generate a mass movement because there is a high degree of invisible stratification in financial experiences. In fact many students don't even pay ticket price. Other students at elite colleges may not even know their colleges’ ticket price due to their families’ economic advantages. These differentiated financial college experiences constrain the idea of financial solidarity, especially since social solidarity is deemed more exciting and less contentious. The varied financial experiences bluff patterns, so families remain too paralyzed to act. Articles about rising college tuition are too generalized and thus are ineffectual to offer targeted insight into such varied (and possibly unbelievable) predicaments. This contributes to the paralysis. Since most articles are too generalized and nationalized, they don't probe into specific experiences so students fall into the trap of assessing their situation as uniquely shameful. Depleted of targeted information, most incoming students are restricted from developing the strategies and conjuring the confidence to make the rational choice about student loans. While debtors in these varied experiences subconsciously wait to recognized and saved by a cataclysmic, apocalyptic bursting ( perhaps because of the fear of judgment, perceptions of powerlessness and the structural constraints on being proactive), I'm going to predict (oh dear) that the college bubble won't be as visible as the housing bubble. I'm serious...it literally won't be visible. The housing bubble popped on our screens and then our consciousness with iconic images of lonely and depressed houses, eerie boarded up communities drained of residents and economic vitality and evicted weeping families as keepsakes were ruthlessly strung across a lawn with the media detailing (sensationalizing) the traumas of having to desert a place filled with intimate memories. The nation watched as urban municipalities deteriorated and gasped at the shocking stories of suburban poverty. The widespread visibility of these scenes fomented into the contentious Occupy Movement and then the backlash Tea Party Movement. Then there were prominent banks collapsing like dominoes, the stock market dramatically dropping as if relieved to let go of a heavy weight and blame being tossed around like a hot potato. I predict that the college bubble will be a more private and individualized experience. Firstly, the distribution of student loans is structured differently than mortgage loans. The bulk of the burden from student loans are placed out of prestigious colleges, and are externalized on the more powerless students; as opposed to how banks shared the shame of the foreclosure crisis. This mass externalization of the burden adds to the isolating experience. Secondly, the culture surrounding housing and mortgage loans is more public than college and student loans. Families avoid discussing too much in detail the nuances of their college costs and student loan debt to protect themselves from scathing judgment and even from jealousy. Thirdly, a geographical concentration of housing foreclosures is a dramatic, photography worthy, tangible and seemingly straightforward social issue. Its noticeably ruinous effect on the makeup and monetary value of whole communities is too visible to be denied. But with the college bubble, lives that haven’t bloomed will be covertly ruined. There is not a boarded up house to gawk at but a fallible human being whose story can be denied and refuted by more seemingly credible sources. There will be a hidden and struggling demographic whose marginalized and confused cries will go unheard of and even unarticulated. Initially, there will not be an explosive bubble but an unsettling and disconcerting stifling of lives and activity. It will be a type of covert financial oppression that dampens more than just economic activity. The convert bubble maintains its stealth power through the inability to standardize the mechanisms to determine the value of college for an individual’s specific needs. 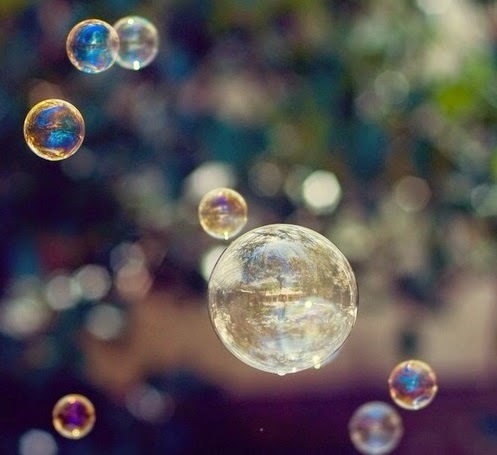 The stifling of lives and popping of bubbles will vary in intensity according to individuals. Some students in 100,000 in debt will interact so successfully with an enriching college experience that it will be worth it long term while for other students just 15,000 is an overvaluation of their college experiences and their capacity to interact with intellectual enrichment. Since houses are a commodity (even with complex valuation mechanisms) they can be quantified, so Americans could confidently declare a bubble. Humans and intellectual enrichment provided by college are not commodities. This variation in value, which depends on the college and student ability, will hamper a collective bubble that could constructively mobilize the public. Due to this difficulty in quantifying the worth of an educational experience, there is much room for fraud, self-delusions and narratives to obstruct the debate, thus intensifying the student loan crisis. Yes, technically for profit colleges are exploitative and liberal arts degrees are a huge risk but how can this be reasonably quantified. Especially since the valuation of college can be dependent on factors outside that individual’s college’s control. College tuition can’t suddenly be declared a bubble and collapse. The mechanisms for setting tuition sharply deviate from how housing prices are determined. So as I shuttle myself from class to class, with each step the student loan bubble will be bouncing happily and covertly among unaware students.